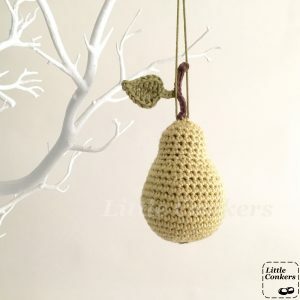 This week I’ve been making and listing some more of my pear ornaments, including some new colours. These make beautiful decorations for autumn and winter, either on a twig tree or a Christmas tree. 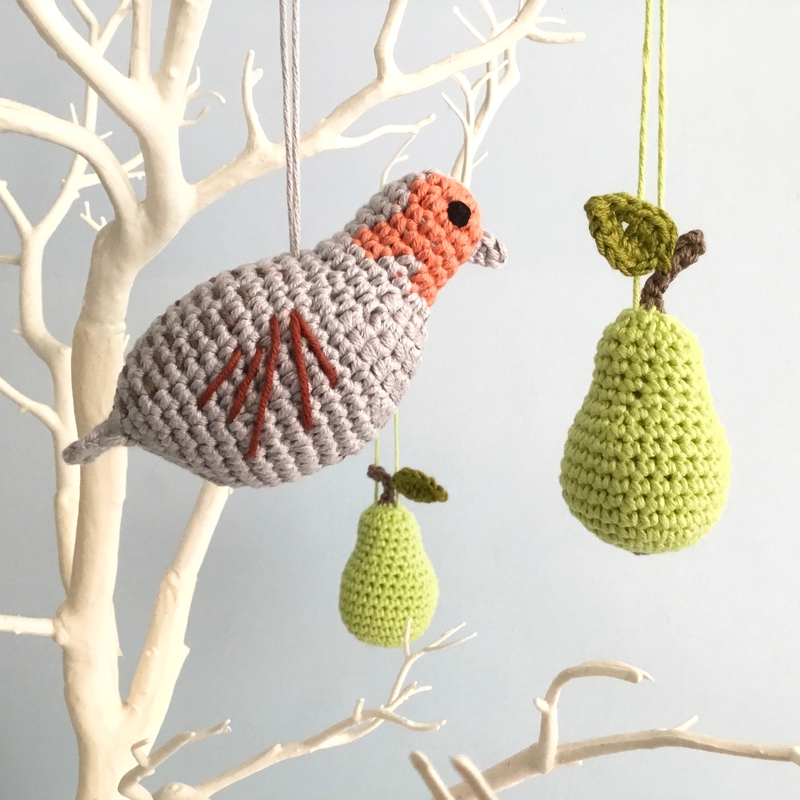 I’m excited to launch something I’ve had on my ‘to do’ list for quite a while: a partridge in a pear tree crochet pattern! 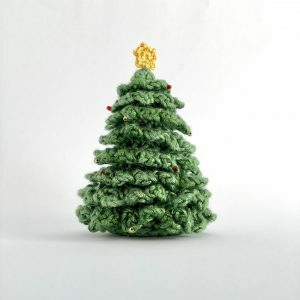 Scroll down for links to the pattern! 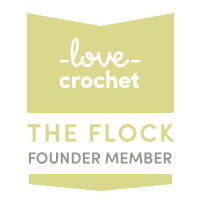 Today I’m publishing a new crochet pattern that is really timely for the upcoming season. 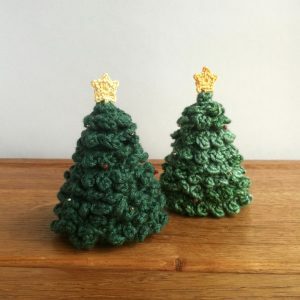 My Christmas Ornament Crochet Pattern is easy to work, but can be made with multiple variations for the central contrasting design, so it can be customised to create exactly the look you want. 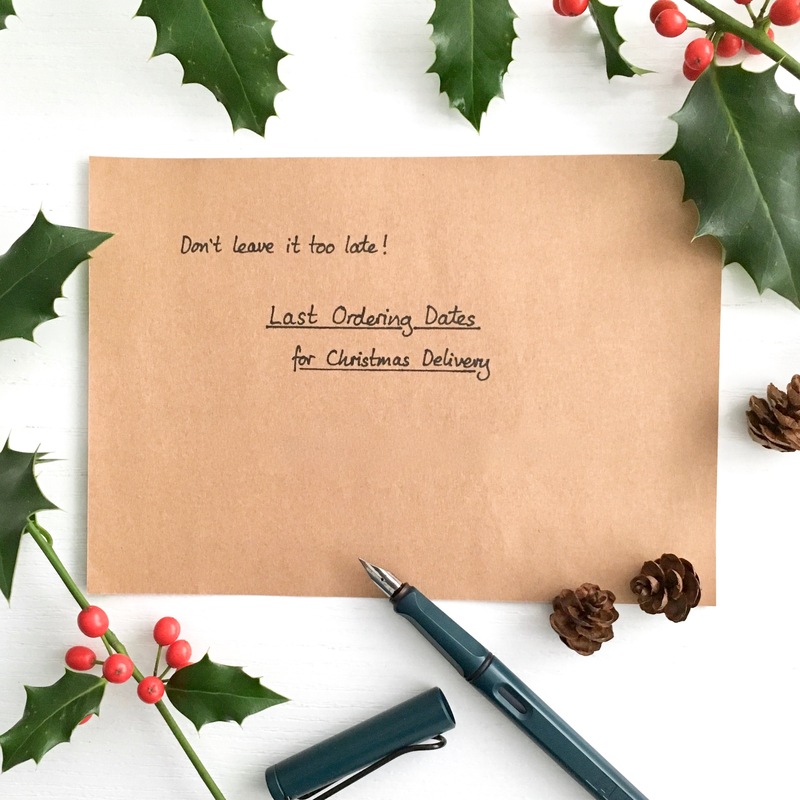 I’ve been re-stocking – reforesting? – my shop with my miniature Christmas trees over the weekend. 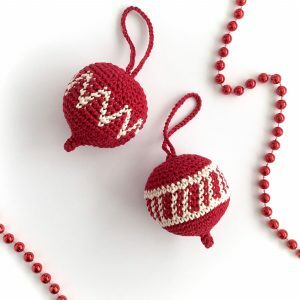 Yes, I know it seems terribly early, but I sold three within minutes of posting about them, so people are obviously already on the look out for their Christmas ornaments! 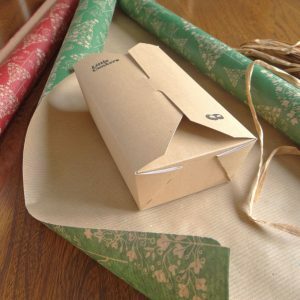 More new additions to my shop this week! 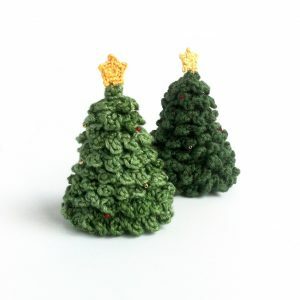 These little Christmas trees are now rivalling my pinecones as my favourite things to make. 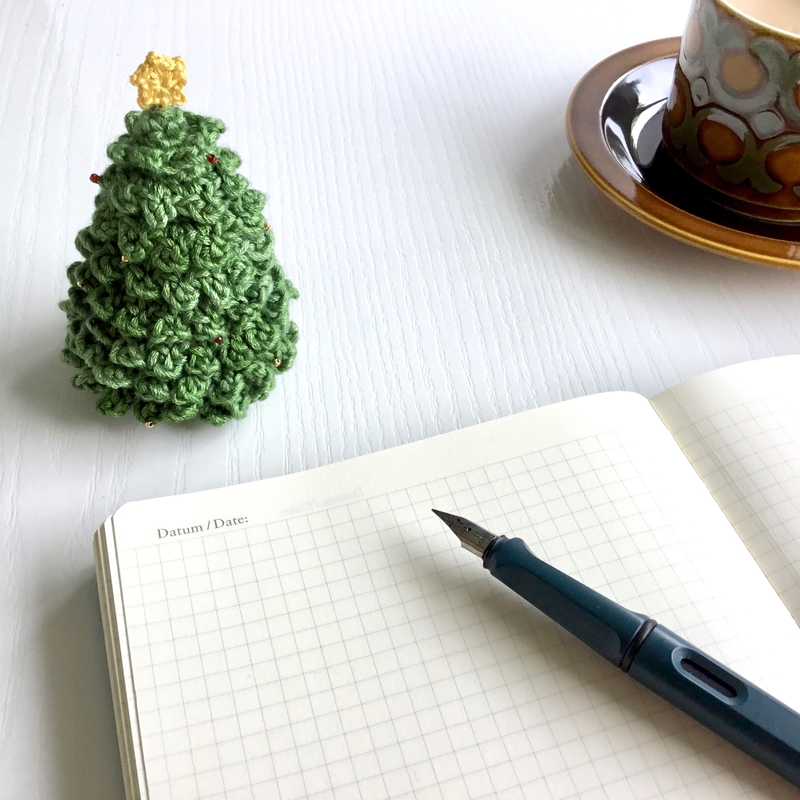 It’s far too early for a real Christmas trees (we’re a week-before-Christmas family) but I’ve had such a lot of fun decorating these tiny treasures.